Because Hearing Services of Delaware is privately owned, it has access to all of the hearing aid manufacturers. This provides the audiologists with the ability to find the best and most affordable solution for each patient’s unique needs. “The hearing aids that people remember their dad or grandfather wearing are no more,” said Dr. Stacy Sanders, co-owner/audiologist. “Today’s devices are smaller, sleeker, and offer the most natural hearing and ease of use in today’s everyday environments. 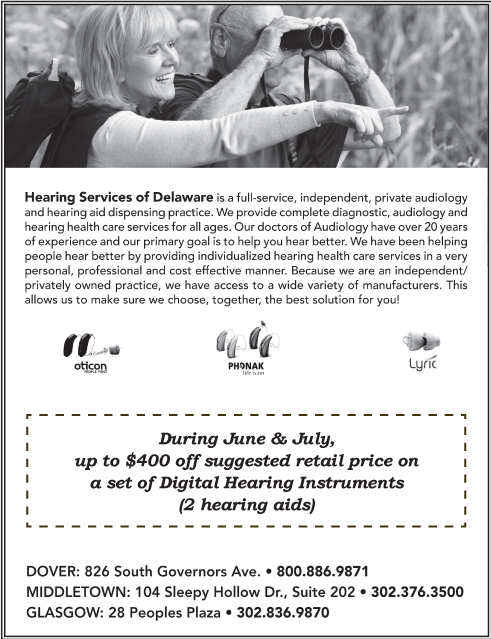 Call (302) 376-3500 for Your Free In-Office Hearing Aid Trial & Demonstration! Next Story → Are you ready to lose weight…for good?